Chop head of cauliflower and put in medium saucepan with ¼ cup of stock. Steam, adding additional stock if needed. 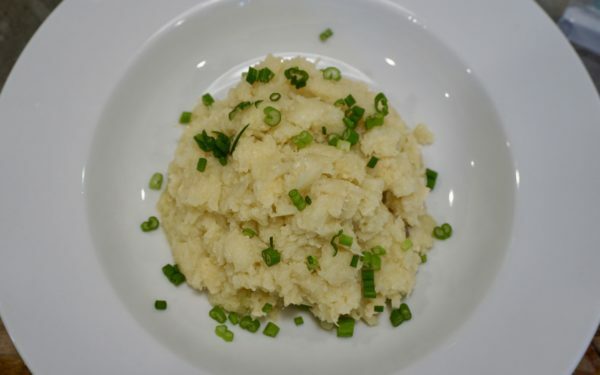 When Cauliflower is soft, using a potato masher or large fork, mash in saucepan adding ghee, salt & pepper. Transfer mixture to a bowl. Stir in green onion and serve.